Our boarding is set in ½ an acre of landscape gardens and fully enclosed and secure by high fencing. We have 12 spacious all weather pens, complete with hutches, in which rabbits can free run all day and they are completely fox proof. These pens can be heated if required (house rabbits). All rabbits in these pens will have daily exercise from 7am til late. We also have large individual hutches with separate runs which rabbits can be put out daily (weather permitting). All rabbits are checked hourly and we give them lots of time and attention. Rabbits are fed twice daily (including plenty of hay). We sell good quality meadow hay. 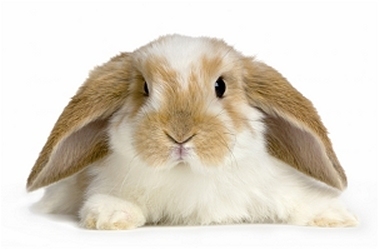 We also supply and sell the main feed brands such as 'Excel', 'Russell Rabbit', 'Selective', 'Wagg' and 'Pets at Home' but if you would prefer a different rabbit food brand then we are happy for you to bring it when your rabbit comes to stay and we will ensure that it is used in the feeds. We also give a variety of fresh vegetables along with dried grass daily. 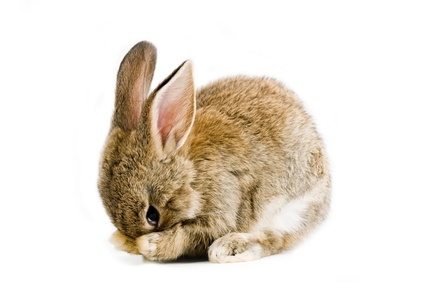 We supply litter trays, toys and tunnels but we are happy for customers to bring any of their rabbit's favourite toys from home if they want to. 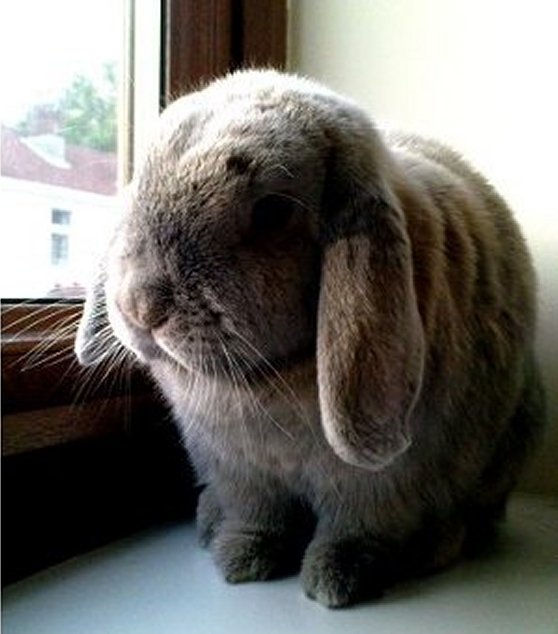 This is one of our re-homed rabbits, Harley, on the windowsill. House rabbits do make wonderful pets. "Thank you Sandy for taking such wonderful care of Stuart. You have no idea how much peace of mind it gives us to know that he is in both the best hands and the best place. Your accommodation upgrades are a triumph - truly palatial! How many rabbits can boast that they have their own heater? Stuart now thinks of you as his holiday mum!"